The influential political thinker Hannah Arendt fled her native Germany in 1933, after the Nazi rise to power. She eventually reached America, where she wrote her seminal works. 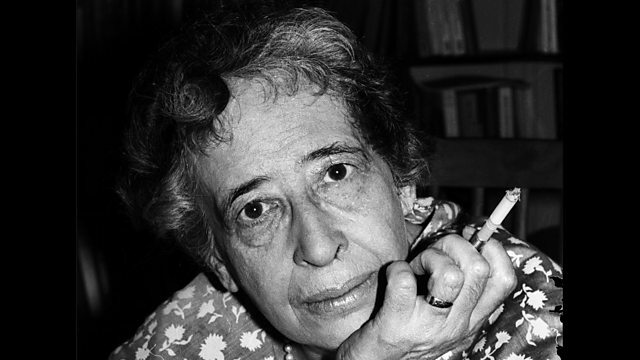 Hannah Arendt was one of the most influential political thinkers of the 20th-century. Born into a German-Jewish family, she fled Germany in 1933 as the Nazis consolidated their power, eventually reaching America, where she published her seminal works on totalitarianism and the human condition She is also remembered for her phrase, the banality of evil, to describe the Nazi war criminal Adolf Eichmann at his trial in Jerusalem in 1961. Louise Hidalgo talks to Hannah Arendt's former assistant, Jerome Kohn, and listens through the archives to those who knew her.